A fox, which flies. From India. 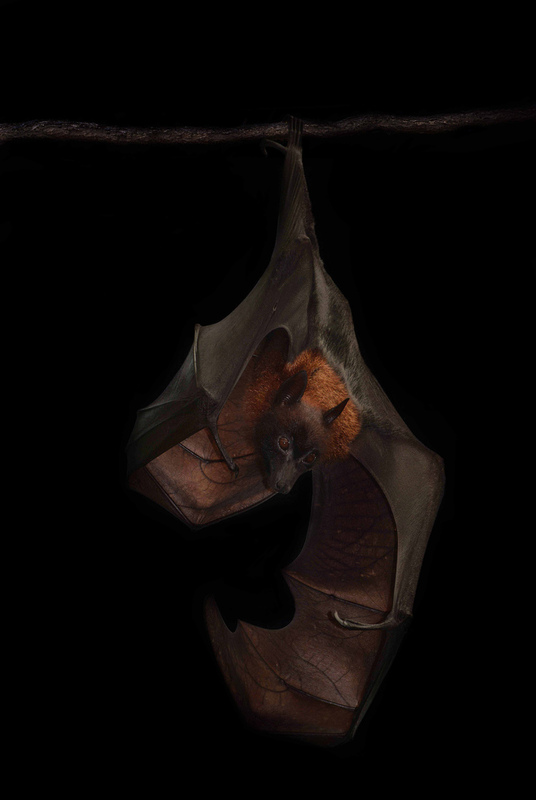 An Indian Flying Fox. Otherwise known as a “bat”. What a glorious thing is chance and necessity, allowing for the emergence of mammals with wings where their arms could be. And she is a night animal—my kind of animal. Along with the serval and the otter, the kangaroo rat and the possum, the snow leopard and the moth, creatures great and small and maybe a little bit creepy, Traer Scott has photographed them (not quite all). But this is the one which captured me. What a magnificent shot of a magnificent creature.